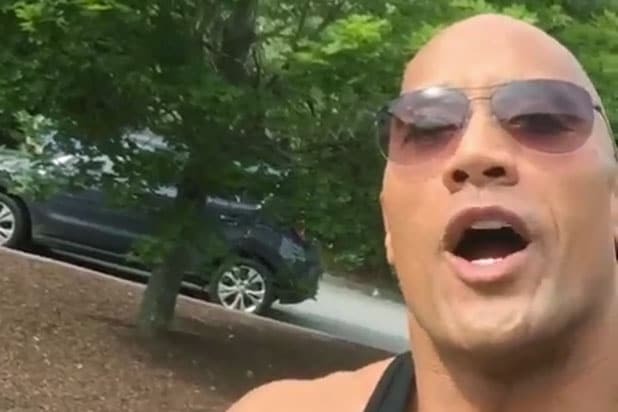 Dwayne “The Rock” Johnson posted a video from the set of “Central Intelligence” on Tuesday in which he shows off a gnarly injury to one of his hands. The action star took the accident in stride, however, joking “I ain’t got time to bleed.” And although he wasn’t bleeding, someone’s finger should definitely not bend that way. Reps for New Line have since confirmed that the injured hand was a prosthetic. “Central Intelligence,” which is currently in production, sees Johnson as a CIA agent who reconnects with an old friend (Kevin Hart) and ends up dragging him into the world of high-stakes espionage. Rawson Marshall Thurber is directing, based on the screenplay by Ike Barinholtz, David Stassen, and writer Peter Steinfeld. “Central Intelligence” is due to hit theaters in June 2016. Updated July 14, 4:05pm PST: New Line Cinemas has since confirmed that the injury was fake and that the finger was prosthetic.